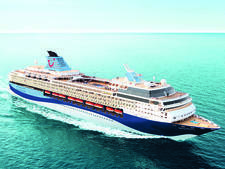 Marella Cruises' newest ship, Marella Explorer, was launched in May 2018, and with a capacity of 1,924 passengers it's the line's largest vessel. The ship debuts a number of new-to-the-fleet features, including a link-up with upmarket health spa Champneys (the first at sea), a raft of brand-new restaurants, a gin- and whisky-tasting bar and a large number of new shows. Aimed squarely at the British market, the vessel is easily manageable for first-timers, with plenty of entertainment for families with kids (despite the fact there is a tiny kids' club) and enough standout and high-end facilities -- including upmarket eateries and a high-tech top-deck disco/bar/casino -- to keep the most seasoned cruisers happy. 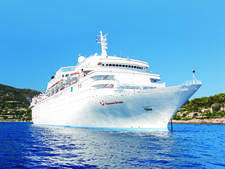 Like the fleet as a whole, the ship is billed all-inclusive (in that alcohol and tips are included), and you'll find buckets full of cold beer outside the theatre and on the deck, as well as beer and wine dispensers in the buffet. However, should you wish a more "premium" experience, there is a number of excellent restaurants that carry a cover charge. 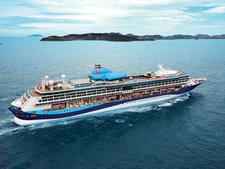 Marella inspires loyalty with its long-serving staff and repeat passengers from the line's days as Thomson. The line knows its clientele thoroughly, inside and out -- exactly what they need and want. And, in the case of this ship, Marella has even anticipated what passengers might not yet know they need or want with a number of first-time additions. 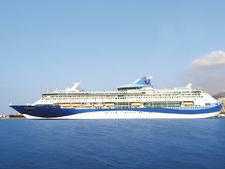 This ship is an outstanding addition to the Marella fleet. Marella Explorer attracts an exclusively British clientele wherever it is based, whether in the Med during the summer or the Caribbean in the winter. You'd be hard pressed to find any other nationality, and certainly no concession is made for them. The average age is around mid-50s, with multigenerational groups during peak holiday periods. Expect a lot of children onboard from the beginning of July to the beginning of September and over the Christmas holidays. The ship is casual during the day -- think shorts, t-shirts and flip-flops -- due to its locations (summer in the Med and winter in the Caribbean). In the evenings, it's smart casual. One night on a seven-night cruise is "Dress to Impress" night, which has replaced gala evenings or formal nights. There's no real guidance on this, though most people opt for a jacket and smart trousers or (non-ripped) jeans for men and a dress and perhaps heels for women. 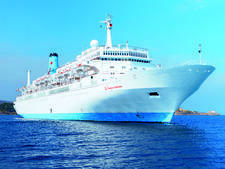 Marella Explorer is all inclusive, and tips are neither required nor expected, though you can tip for exceptional service. The currency onboard is the GB pound.